PowerISO is a powerful CD/DVD image file processing tool, which allows you to open, extract... Created by Power Software Ltd.
PowerISO was added by Stuck in Feb 2009 and the latest update was made in Apr 2019. The list of alternatives was updated Jan 2017 There is a history of all activites on PowerISO in our Activity Log. It's possible to update the information on PowerISO or report it as discontinued, duplicated or spam. Alternatives to PowerISO for Windows, Linux, Mac, BSD, PortableApps.com and more. Filter by license to discover only free or Open Source alternatives. This list contains a total of 25+ apps similar to PowerISO. Well, even with the free alternatives I can´t find myself letting go of this commercial software. It simply has all that I need to mount, convert, edit and burn all kinds of image/ISO files. I've tried similar applications but no other seems to do exactly everything this one does. Been using it for years now, and I think it will be that way for years to come. For me it's the best software of this kind. Recommended! I have SERIOUS beef with this program. One of the few programs I have encountered that is straight up bad. First, it does NOT emulate a CD drive. I honestly don't know WHAT it's doing. It only makes a drive letter show up - no emulated hardware behind it. This is THE ONLY iso mounter tool that I know of that does not emulate a CD reader (hardware), other than Unix pseudo-devices, which are ok because they're a different case. It makes iTunes think a blank CD was inserted, which shows that it's doing something screwy. Trust me, I'm usually not a troll, but this is the one program I hate (along with KernSafe Total Mounter). Also, when you tell it to mount a floppy disc image, the mount looks like a CD, and it claims to be able to edit CD images, which I'm pretty sure isn't possible. 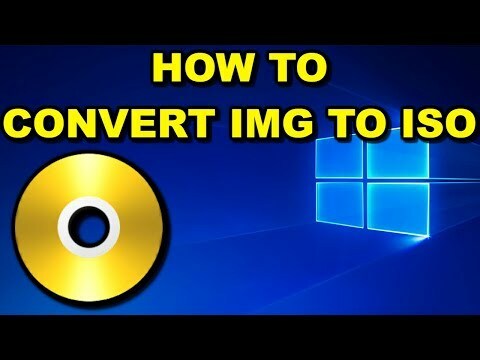 It probably saves the changes you want to make to an image, extracts parts of the image file, edits those parts, builds a new image, then replaces your old one. NEVER REPLACE THE ORIGINAL! Why not use VirtualClone Drive or WinCDEmu for mounting?!? And maybe ImgBurn for other needs? If you want an altered version of a CD, just extract the components, and rebuild it, like with ImgBurn or something, without a 300 MB limit and for free. Why does it not emulate hardware like CDemu, VirtualCloneDrive, MagicDisc, PhantomCD, Daemon Tools, Gismo Manager, WinCDEmu, or anyone else? I prefer Linux, and just use CDemu when actual emulation is required. 42 times lighter than Nero, 3 times faster than Daemon Tools. @hide (and everyone else): Still doesn't emulate hardware! Figured I should finely stop by for a visit to point out that I haven't been told; it's been so long since I've flamed this program, lol. Yeah, the speed/lightweightness is cool Hide; thanks for the statistics. But it's just too unsettling for me knowing that it's not actually emulating hardware, yet responds to some hardware checks (probably just enough to trick game CD/DVD checks). More unsettling is that it does something pretty darn wonky. Never seen anything else like it. Not emulating hardware, yet responding to certain calls? Making a drive show up without emulating hardware or even clean manipulation of the virtual filesystem (like the subst command, or something a little more sophisticated, perhaps like the unix-like family of OSs' "mount" command)? Making iTunes think a blank disc was inserted? What is going on here! By "not emulating hardware" I mean that it doesn't make hardware show up in the list of hardware reported by Windows. Pull up Device Manager and try to find the virtual optical drive emulated by PowerIso. It's not there because it doesn't exist! Or open WMIC and look in there. Won't find it. Open any software that lists the optical drives of your system: ImgBurn, Nero, VLC, iTunes, any of them. They won't list it, because it's not there. Now try that with Virtual CloneDrive, Gizmo, Daemon Tools, WinCDEmu, KernSafe Total Mounter, or any Windows optical drive emulator, and it will show up on all of those.